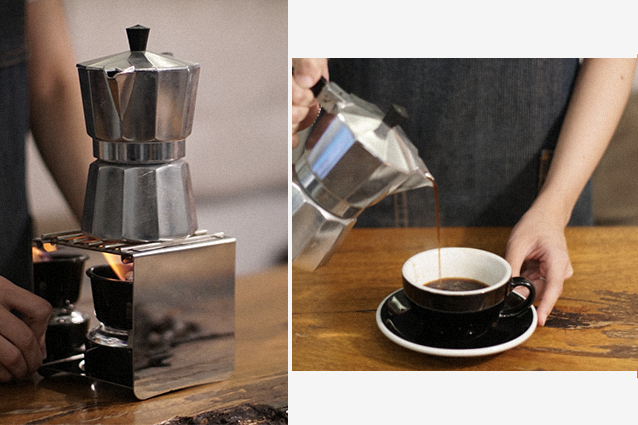 One of the most famous brewers in the world, the charming octagonal Mokapot is a pressure-driven, stove-top coffee brewer. 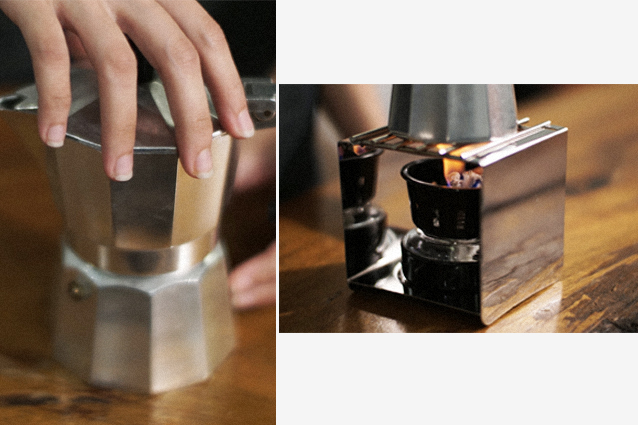 It is beautifully designed, equally ubiquitous and divisive among coffee fans. It marks a cultural shift from espresso as an out-of-the-house-only beverage to one that could be made in the home. Grind the fresh coffee bean to a medium coarseness, or sea-salt fine, if you would. 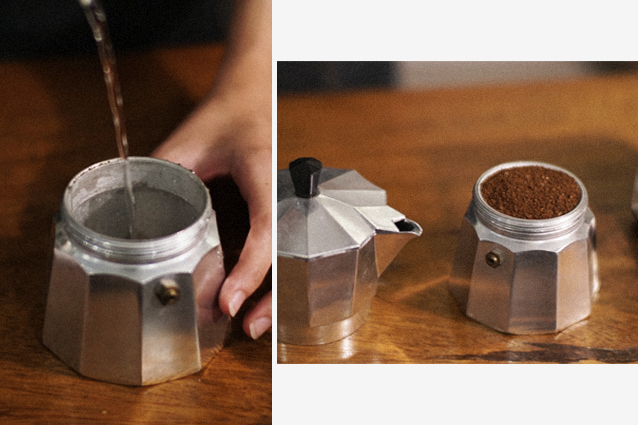 Fills the bottom part of the Mokapot with boiling water, ¾ of the way. Add the perfectly ground coffee in the pot’s filter basket and place onto the bottom part. Screw on the top chamber. Wait! Remember the boiling water in the bottom? We recommend a table cloth to avoid any regret. Set the pot on the stove at medium heat. Hit the timer/music. Once the water hits boiling point, pressure will work its magic to push the coffee stream upward to the top chamber. You’ll know it’s done when you hear a hissing, bubbling sound.